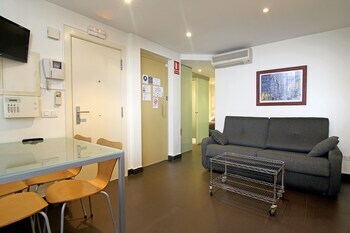 With a stay at Picasso Apartments in Barcelona (El Born), you'll be steps from Basilica de Santa Maria del Mar and 12 minutes by foot from Palau de la Musica Catalana. Featured amenities include a 24-hour front desk and an elevator (lift). With a stay at Apartamentos Prado Sastre in Alicante (Alicante City Centre), you'll be within a 15-minute drive of Castle of Santa Barbara and Parque de Canalejas. When you stay at La Casa de Carolina in Onis, you'll be in the mountains and 13 minutes by car from Zoo la Grandera.